In a large bowl, combine soup and milk until blended. 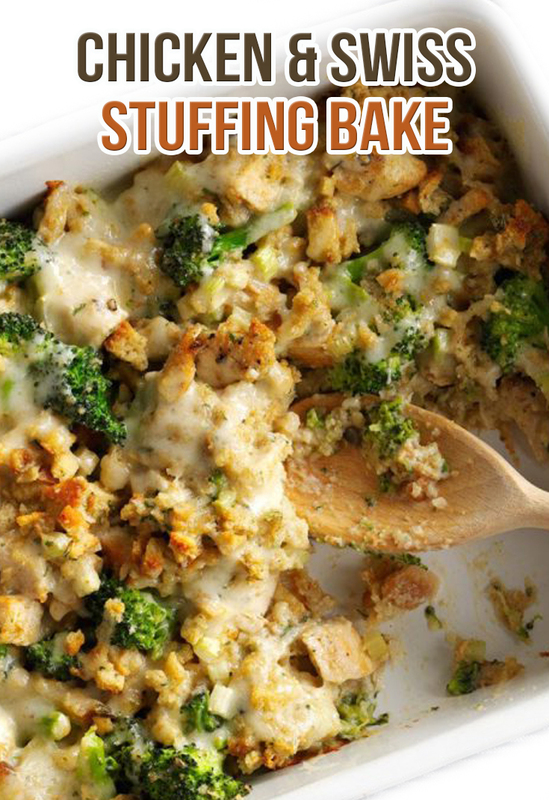 Add the stuffing mix with contents of seasoning packet, chicken, broccoli, celery and 1 cup cheese. Transfer to a greased 13x9-in. baking dish. Bake, uncovered, at 375° for 20 minutes or until heated through. Sprinkle with remaining cheese; bake 5 minutes longer or until cheese is melted. Freeze option: Sprinkle remaining cheese over unbaked casserole. Cover and freeze. To use, partially thaw in refrigerator overnight. Remove from refrigerator 30 minutes before baking. Preheat oven to 375°. Bake casserole as directed, increasing time as necessary to heat through and for a thermometer inserted in center to read 165°.